The Bavaria Cruiser 40 was built in 2012 and is a fantastic sailboat for your dream sailing holiday. 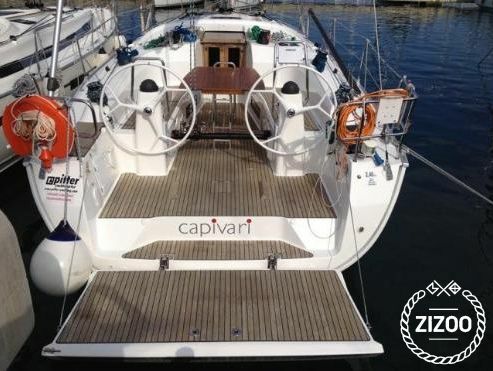 With 3 cabins that accommodate 7 guests, this boat is ideal for a family holiday or a thrilling sailing adventure with comrades. A gorgeous sailboat, she is both comfortable and inviting. This boat is located in Kornati Marina (Biograd na Moru) and is the perfect vessel for discovering all the hidden gems of the coast in Biograd na Moru. The Bavaria Cruiser 40 is a relaxing model that is a very stylish and slender option for your next sailing holiday. Enjoy the sea and book now!.